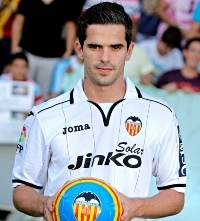 Valencia CF: Gago transfers to Atletico Velez? Gago transfers to Atletico Velez? Fernando Gago is on the verge of transferring to Argentinian Club Atlético Vélez Sársfield on a half a year loan deal. The club has written on their official website they have reached personal agreements with Fernando Gago and are waiting on Valencia CF to give the go ahead. We know that Valencia CF has given the go ahead as well because Gago was not seen in training today and even if not the South American transfer window closes on 11th of February, so there is plenty of time for Gago to leave.